Super Bonus Bingo is a lottery-style instant win game variant of standard Bingo that is based entirely on luck. The game combines the classic bingo game with additional bonuses, hits and different payouts to make it more interesting. Super Bonus Bingo uses random number generator built-in software that randomly draws 20 of the 80 balls. If your selected numbers match the ones that are drawn, you win the amount shown on the pay table. There is also an additional bonus feature that allows you to increase your winnings. To play the game, use the – and + buttons to decrease or increase the size of your bet. Then select between two and 20 numbers. The pay table of your chosen selection will be marked. Then 20 balls will be randomly drawn and if they match with your chosen numbers, they will be turned golden. If you win, you will be given the amount shown on the pay table. If it is marked white, you can play an extra bonus feature that enables you to boost your wins. In the bonus feature, two more balls are drawn for the chance to boost your win. Super Bonus Bingo from Microgaming is played according to the above mentioned rules. Select lucky numbers and if they match with the randomly drawn numbers, you win particular payout based on the pay table. In addition, use the bonus feature to rise up your riches. The game is available online at Internet casinos run by Microgaming software provider like All Slots Casino and VideoSlots Casino. Owned by Jackpot Factory Group and licensed in Malta, All Slots Casino offers Super Bonus Bingo as well as about 500 other casino games that have superb graphics. The casino also offers generous bonuses and has excellent customer care. VideoSlots Casino was established in 2011 and is licensed in Curacao. It offers over 500 high quality casino games created by Microgaming and other software providers. The casino offers safe, secure and fair gaming and its customer support is available around the clock. Microgaming has excellent bingo network and besides Super Bonus Bingo, it also offers other high quality bingo titles like Bingo Bonanza, Mayan Bingo and Electro Bingo. To win in this Bingo variant, match two out of six balls that have the same multiplier value. Winning combinations are paid according to the size of your bet and the value of the multiplier. The maximum amount that can be won if you bet the maximum is 200,000 credits. Go here to learn more about Bingo Bonanza. Mayan Bingo can be played with up to four cards at once. 30 numbers are randomly drawn and they will be marked off on your cards. You need to make a set pattern to be able to win the game. You can also draw one extra ball if you are one away from bingo. Go here to learn more about Mayan Bingo. In this Bingo game, 30 numbers are drawn and you need to complete a winning pattern by marking off the drawn numbers on your cards to get a payout. All in all, there are 14 different patterns. You also have the chance to buy a bonus ball if you are one ball away to completing a pattern. Go here to learn more about Electro Bingo. A guide to all important bingo terms and phrases. Smart players make sure to learn the rules first. Bingo dates as far back as the 18th century. Learn more. The Top Seven Tips for Playing Bingo. 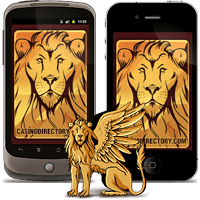 Our team has reviewed top casino games. RECEIVE EXCLUSIVE BONUSES & PROMOTIONS! Your privacy is very important to us. We will never share your email with anyone. CHECK OUT OUR SITE ON YOUR SMARTPHONE OR TABLET.